If you are looking for trustworthy free protection for your computer, you should check it out this article which will provide you a comparison between two completely free security packages – Zemana AntiMalware Free version and Avira Antivirus Free. Both names are well-known in cybersecurity industry and provide trusty software for individual users and businesses. To start with Zemana AntiMalware, it is worth mentioning that Zemana is a relatively young company in the industry. Especially, when it is compared to Avira which was launched 30 years ago, Zemana has operated in the industry for only about 10 years. Next to its paid Premium security software version, the company also offers its customers a free edition of the package Zemana AntiMalware Free which this article will talk about. Researchers at Reviewed by Pro after testing the program for 30 days revealed its pros and cons. The software is known for its great detection and removal which is provided in the free edition. According to researchers at Reviewed by Pro, the software detects even the smallest threats in a few minutes. 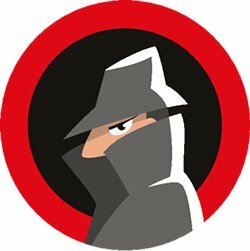 Zemana AntiMalware Free also removes browser hijackers, as well as detects and removes unwanted browser add-on’s, toolbars and apps. Simple and easy to use interface. Even those who have minimal computer skills could easily operate the software. The software lacks of some functions and provides only very basic protection. Reviewed by Pro notes that Zemana AntiMalware has got everything you need for the best PC protection. Moreover, you will be protected from annoying ads and ransomware files. This software has one of the fastest AntiMalware scans on the market. When it comes to the second security package provider, Avira Operations GmbH & Co. KG is German-based multinational cybersecurity company that has operated in the industry for 30 years (established in 1986). The company offers its customers a trustworthy security software for many years and has a big experience advantage compared to Zemana. Avira specializes in antivirus software, Internet Security, Privacy, Identity and Performance tools for PCs, mobile devices, servers, and networks. Avira software is compatible with Windows, Mac, Android and iOS operating systems. 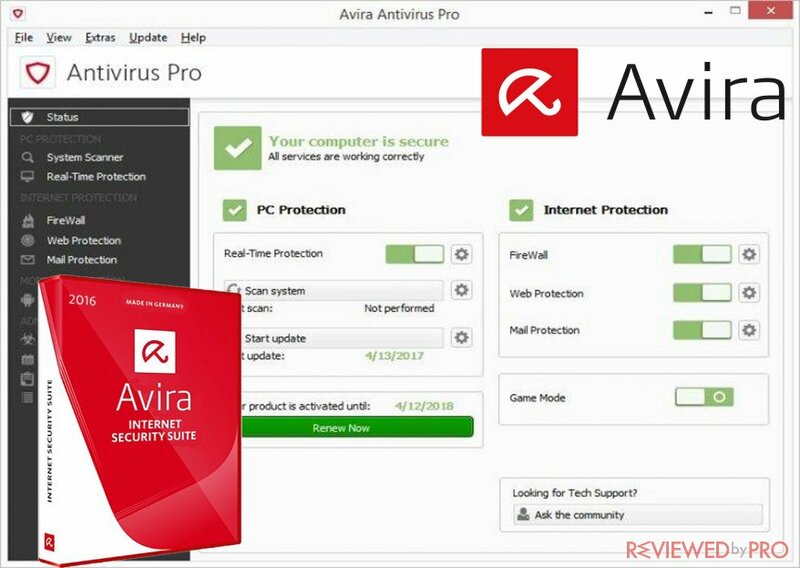 Researchers at Reviewed by Pro tried Avira Antivirus for 30 days and disclosed these pros and cons. Avira Antivirus does not disturb computer’s performance. When it comes to user-interface, Avira offers you a customizable interface which you can develop according to your needs. An option for many related Avira products and great customer service. If you have an emerging issue with the virus, Avira technician will remove malware for free. It is completely free software and offers many useful features. Many scan choices. In addition to full scan, Avira also offers quick scan, scanning all local drives, local hard disks, looking for active malware and examining the Documents folder. Slow demand scan. A full scan of a system takes approximately two hours. Average malware detection and removal. Avira was tested by researchers at Reviewed by Pro and the results were average. The software detected only 65% of all the malware and viruses. Browse protection suitable for only Google Chrome and Mozilla Firefox, which is not bad if you use one of these browsers. On the one hand, Zemana AntiMalware offers better malware detection and removal rates, quicker scans, and adware removal feature. However, on the other hand, Avira provides more useful features. In addition, it is worth to mention the great customer support offered by Avira. If you are looking for free basic software that offers you only a few but quality, useful and reliable features, you should go with Zemana AntiMalware. It is also a very lightweight application. Avira offers more features and would be a great choice for average PC user. If you want your device to keep running fast, Avira would be a great choice because it does not take up many resources. ^ Ugnius Kiguolis. Zemana AntiMalware review, manual and guides. Reviewed by Pro. 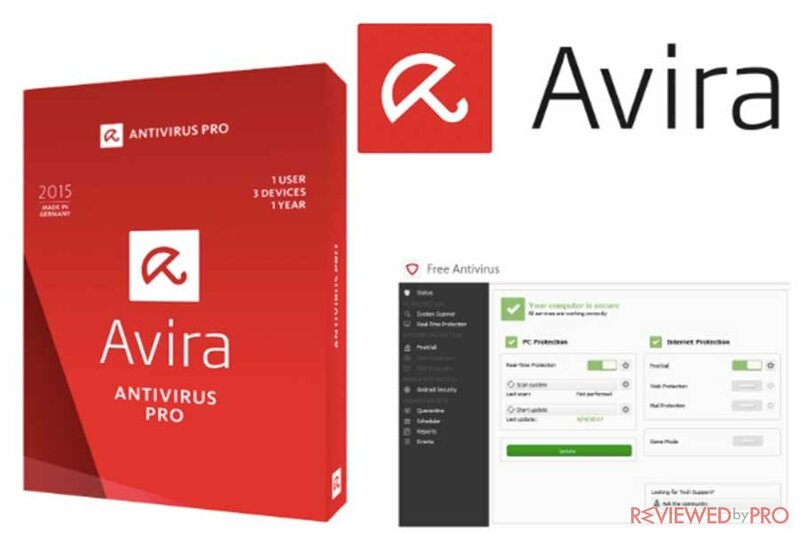 ^ Download Avira Free Antivirus 2018. Avira . This entry was posted on 2017-12-14 at 08:28 and is filed under Security.